Where should Davante Adams be drafted in 2017? Following a disappointing 2015 season, Davante Adams exploded in 2016, experiencing the best year of his career. He finished the season with 75 receptions, 997 receiving yards, and 12 touchdowns on 121 targets. 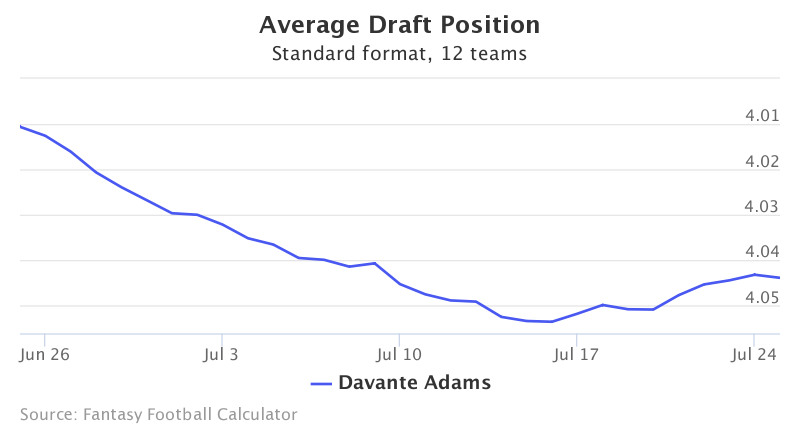 Adams’ fantasy football ADP has been falling consistently over the past month all the way to 4.05. Data is from 12-team standard mock drafts. Adams is currently being drafted as the 19th receiver off the board. However, he provides the safest value within this range. 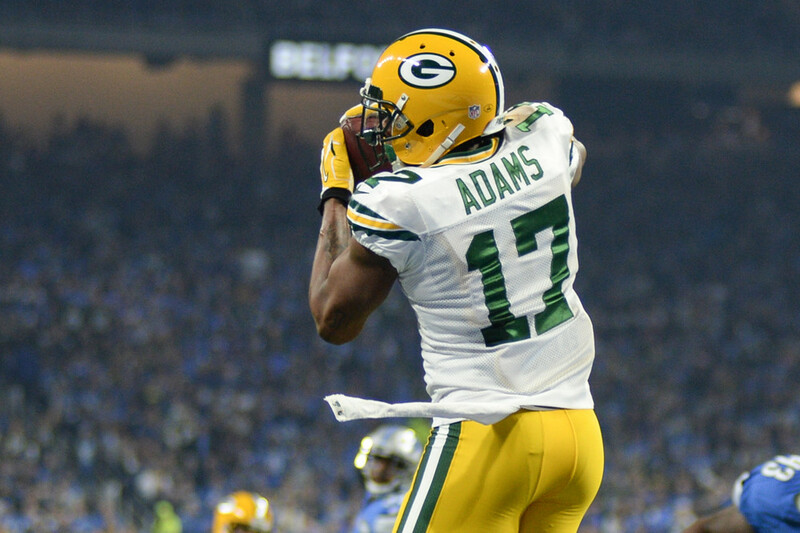 In 2016 Davante Adams burst onto the scene and finished as the wide receiver seven in standard leagues and wide receiver nine in PPR. Although highly productive, questions have been swirling around the 4th year receiver, stemming from his red zone production. Adams scored at a hyper-efficient rate in 2016, catching only 14 passes in the red zone, but scoring 12 touchdowns on the season. According to Pro Football Focus, 10.26% of Adam’s targets resulted in touchdowns. Since 2000 only one player (receiving at least 50 targets) has been able to sustain a touchdown rate over 10% in back-to-back years (Rob Gronkowski). Therefore, it is highly unlikely Adams repeats this efficiency in the red zone. However, Adams received a target share of 19.7% and 19.8% the past two years. Additionally, he commanded 20.2% target share in the red zone in 2016. While these numbers are not staggering, they are highly valuable in an Aaron Rodgers’ offense. Last season Green Bay threw the ball 65% of the time and led the league in pass attempts. While these numbers should fall a little bit after the Packers drafted three running backs this spring, the Packers should remain one of the more pass friendly offenses. Although Adams’ efficiency should regress going into 2017, Green Bay’s offense provides a solid floor from a volume perspective. Going at 4.05, Adams is just behind Allen Robinson and Adrian Peterson, but just ahead of Tyreek Hill and Doug Martin. He is by far the safest option in this range, but still provides plenty of upside in an Aaron Rodgers’ offense.